Fodor's Travel recently chose 11 Under-the-Radar Florida beaches to visit this winter. On their list was the gorgeous Pass-a-Grille beach. 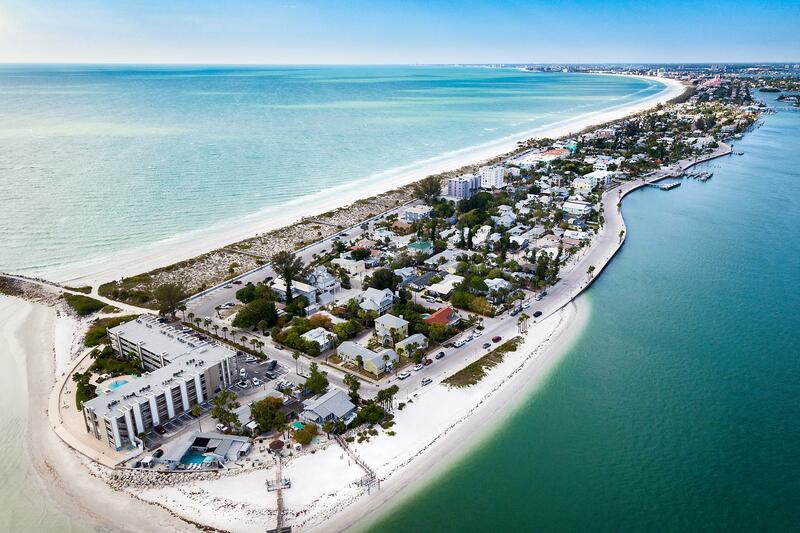 This small beach community at the southern tip of St. Pete Beach gets its curious name from the French passe aux grilleurs, a reference to the French mariners who used to grill their fish on the beaches here during pirate times. It was the Spanish, however, who first arrived in Pass-a-Grille from the Old World in 1528. Sandwiched between the bay and the Gulf of Mexico, the small town center, lined with yellow and sky-blue buildings, houses independent shops and restaurants and has been named a National Historic District. Tuck into grouper sandwiches and other Florida seafood specialties at the dockside Sea Critters Cafe or settle in beachside for a bucket of cold beers and burgers steps from the sand at the uber-casual Paradise Grille. The crystalline waters are perfect for swimming nearly year-round (just do the “stingray shuffle” to stave off any unwelcome encounters with these marine animals who are just as drawn to the lovely beach as you).